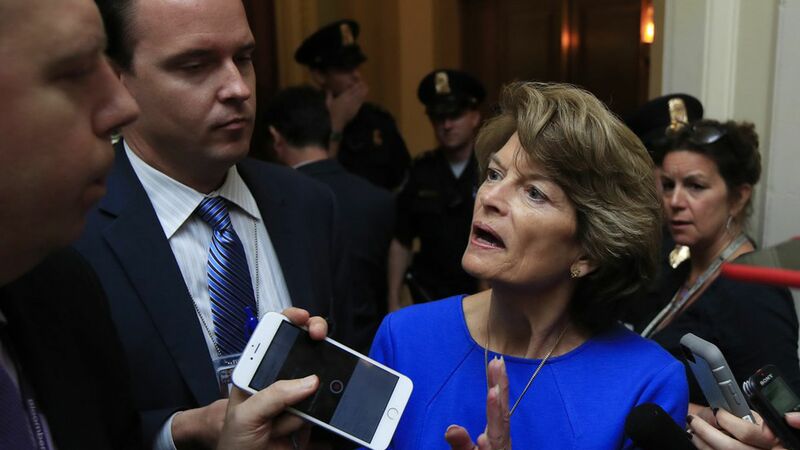 Big story in the Alaska Dispatch News this morning: They report that Interior Secretary Ryan Zinke told both of Alaska's senators that Lisa Murkowski's vote not to start the health care debate will hurt Alaska's future with the Trump administration. Dan Sullivan, the state's other senator, said the call he got from Zinke sent a "troubling message." Why it matters: If true — White House and Interior Department spokespeople didn't respond to the paper's requests for comment — it would be an unusually blunt retaliation for a senator's vote. And it raises questions about whether other GOP senators will get the same treatment. Nine Republicans voted against the Senate's repeal-and-replace plan on Tuesday, and seven voted against clean repealyesterday.